Some travel to take in the sights, or to raid the shops and markets, while others travel in pursuit of indulging in unique cuisine in foreign lands. Culinary tourism is a growing trend as travellers are becoming increasingly focused on defining cuisine as a true artistic expression of a country's culture. Culinary tourism is simply travelling beyond your immediate neighbourhood to find great food. As mentioned by the Ontario Culinary Tourism Alliance (OCTA), culinary tourism includes any “tourism experience in which a person learns about, appreciates, consumes, or- dare we say- indulges in food and drink that reflects the local cuisine, heritage, or culture of the place”. The further you travel, the wider the range of culinary experiences enjoyed. It is not about the food you eat; food tourism is not necessarily about dining luxuriously, but more about eating adventurously to seek out new culinary experiences. Why does culinary tourism matter? Culinary tourism is central to modern tourism and directly contributes to a country’s hospitality industry and economy. It is important from the country and culture’s perspective to develop their food culture in order to support the growing trend of culinary tourism. As food is a reflection of a culture’s eating habits, and intern a destination’s culture, history, and people. Countries or districts are often associated with particular food; Italy with pizza and pasta, Japan with ramen, India with fragrant curry, and so on. People from different cultural backgrounds eat different foods and a taste trekker embraces this fact and is eager to learn more about different cultures and their cuisine. Driven by the growing trends of authenticity, food has become a significant aspect in a tourist’s experience of a destination. No matter how busy the day may be or how tired you are, you will still find the time to sit down and have a meal. Whether travellers sit down and dine at a restaurant with company or walk along the street and savour the local street food, they are always seen taking photos and capturing the moments. When they look back on their holiday, they will remember the memorable food they had and the experiences behind it. 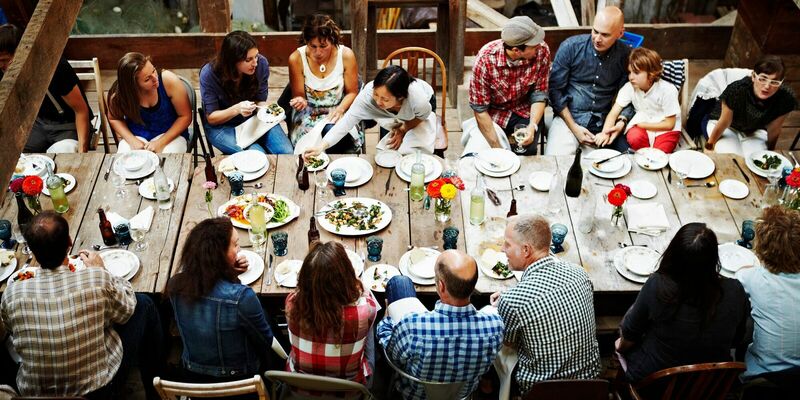 While travelling and on holiday, food becomes a social occasion for busy people to connect with family and friends and create a ‘time oasis’. It is a time for families to enjoy a meal together, and to chat about their day. Ian Yeoman, Associate Professor at Victoria University School of Management, suggests that as consumers desire for new experiences increases, the need for ‘authentic’ experiences become more important. Authenticity in food is about food that is “simple, rooted in the region, natural, ethical, beautiful and human- all of the making for a food tourism destination”. While culinary tourism focuses on food products, gastro-tourism extends beyond what we eat. It includes how we eat, where and when we eat, and the reason behind eating a particular food. It allows food tourists and taste trekkers to learn about the food in detail, just like the paddock to plate concept. Food is the motivation for travel for gastro-tourists and the locations are just the stop-overs to the next foodie destination. The gastronomic experiences are often hands-on and offer behind-the-scene experiences. The 2013 American Culinary Travel Report by Mandala Research showed that the percentage of U.S. leisure travellers who travel to enjoy unique dining experiences grew from 40% to 51% between 2006 and 2013. This study was only conducted on Americans but if there was a significant increase in just the U.S., imagine the growth of culinary tourism across the world. The role of celebrity chefs and media has no doubt influenced the increase in culinary tourism. People want to go to places and eat the food as seen on television screen and social media. Everyone posts the food they eat while on holiday on various social media platforms and entice their friends or followers to try it when they are in that country in the future. With the internet and social media being a big factor and possibly the most influential marketing method, peer-to-peer dining apps have been emerging and are gaining popularity. Eatwith was created in 2012 and is a platform for food-lovers to gather at a host’s house and dig into top-quality home-cooked food. It is the “Airbnb of dinner parties” and is essentially a dinner party of complete strangers that share one thing; their love for food. Of course, the private chefs are verified by the team at Eatwith and their cooking and hosting skills must be approved before they can host a dinner party. Similarly, Feastly allows “feasters” to discover pop-up meals advertised by home chefs with their mouth-watering menus and competitive prices. Food tourists can consider these unique ways of getting into a different culture and experiencing their cuisine with new friends. An interesting activity that everyone should have on their bucket list is going on a cycling tour to experience that city’s culinary landscape. In New Zealand itself, there are cycling tours that take cyclists through vineyards and as most of them are free-and-easy, cyclists have opportunities to visit the winery and cellar door before riding on to the next vineyard. You get to take in the beautiful scenery, have the wind in your hair, and work off all the food you have eaten on your trip. Food tourists can go beercycling in Belgium and for the real food adventurer, the 10-day Flanders Discovery Tour is packed with brewery visits, gourmet beer-cooked meals, and an extravaganza of cheeses, in different cities in Northeast Belgium. You will definitely work that beer belly off! Travellers are more knowledgeable and are becoming more interested in different cuisines and cultures. They desire more than simple sightseeing and crave for richer and diverse experiences. Hence, the rise of activities, like food cycling tours and farm visits, catering to the international food tourism industry. On my holiday to Cambodia, I attended a one-day cooking class on the local cuisine and it was coupled with a trip to the market, where we got to learn about the local ingredients and their history. We had our own work stations and the class was held in an outdoor rooftop kitchen! In just a few hours, I learnt to make fish amok, khmer spring rolls, and mango sticky rice. Besides simply eating on holiday, it was a great experience to learn how the locals make the dishes and the meanings behind each dish. Across the globe, wine, beer, and food festivals turn a particular city or country into a food destination. Oktoberfest in Munich, Melbourne Wine and Food Festival, Savour in Singapore, and Maine Lobster Fest in Rockland, U.S. These are just some of the famous festivals that attract taste trekkers to make their way there just for these annual events. To turn New Zealand into a gastro-destination, we have the Hokitika Wildfoods Festival, Toast Martinborough, Bluff Oyster Festival, Whitiange Scallop Festival, and Food and Wine Classic (F.A.W.C!). 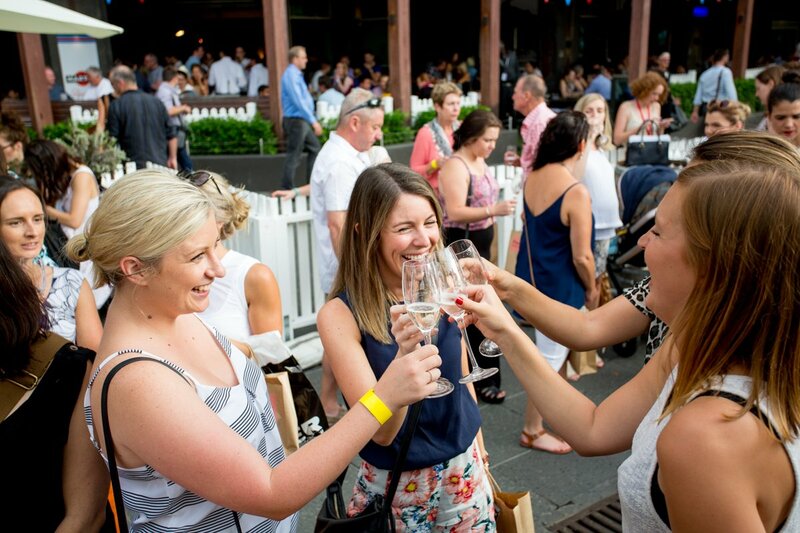 These festivals promote and showcase the country’s fine wine and good food. 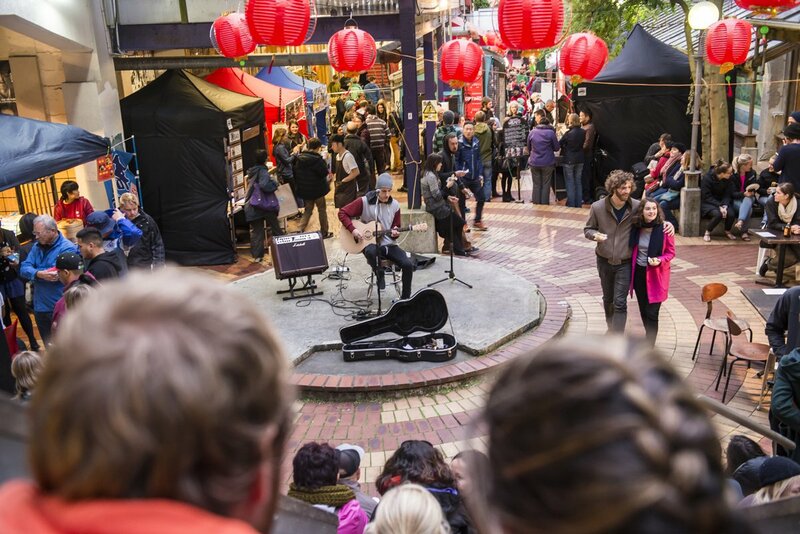 Wellington alone as the upcoming Visa Wellington On a Plate (WOAP) and Beervana to convert this little windy city into a foodie destination for taste trekkers. For food and wine lovers who are interested in discovering the regional red wines in detail and how to pair them with ingredients, Le Cordon Bleu New Zealand has collaborated with Wellington’s very own regions- Martinborough, Gladstone, and Masterton- to create “Simply Red”, a WOAP event that pairs regional red wines with French fine-dining food by the students at Le Cordon Bleu. And for the bubbly people, “Fizzingly Fantastic” is another WOAP event by Le Cordon Bleu that matches seven courses of classic French food with various types of Champagne. Food plays a huge role in the way people travel today and besides filling a person’s tummy, it satisfies your desire to try new things and provides insight into a country’s culture. Food has turned cities into destinations and given us even more reasons to pack our suitcases and travel.